What is the name of that tree that helps with memory? Hmm, I used to know it. Oh yea, Ginkgo Biloba! Ginkgo Biloba was commonly named the maidenhair tree because it closely resembles the look of a maidenhair fern, but most people think it’s more fun to say Ginkgo Biloba than maidenhair. Chances are, you can identify this tree every time you see it, because its beautiful green and fan-like leaves are unmistakable! 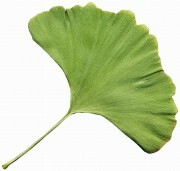 The ginkgo tree is actually pretty interesting and has many uses in our modern world. However, the ginkgo tree is anything but modern. The ginkgo tree has roots dating back over 200 million years! How do we know this? Fossils. The fossils of this tree that have been studied show that the seed structure and leaf characteristics remain virtually unchanged since the beginning. This tree is actually referred to as a “living fossil” because it has not had the need to evolve and this single species has no living relatives. Being the only surviving member of a group of ancient plants, it is essentially a living link to prehistoric times and the dinosaurs. The growth of this tree starts out extremely slow for several years, but when the growth rate eventually picks up, it grows at a moderate rate of up to 24″ a year and can reach heights of up to 80′. With a single tree averaging a lifespan of 2,000 – 3,000 years, it makes sense that its maturity is a marathon as opposed to a sprint. Also, notably, the female trees won’t produce their seeds until well into their 20 – 25th year of growth. You will absolutely know when the female ginkgo tree is producing seeds, because the tree will have thousands of seedling balls on it. When the seeds shed and drop to the ground, they stink! People say that the fleshy seeds are sticky, slimy, messy and are so awful and undoubtedly compare the smell to vomit. 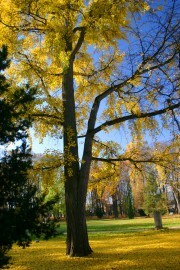 The male ginkgo trees also produce seeds, but they are not fruitful and do not smell. Fortunately, knowledgeable and reputable nurseries will only sell male ginkgoes because of the issues relating to the female trees. There are several uses for the ginkgo tree. In China and Japan, the wood of the ginkgo tree is used to make items such as chopping blocks and chess sets. Here in the United States, we are more focused on the medicinal value. Extracted oil from the leaves is used in producing medicines and supplements to aid in memory, blood thinning, help with circulatory issues…etc. Maybe you have seen ginkgo trees mostly in an urban setting. This is a calculated move by cities and municipalities. Truth be told, the ginkgo tree is super tolerant of air pollution, heat and can thrive in most every soil. Its compact nature along with its disease and pest resistance makes it the perfect candidate to be planted as a street tree, which greatly benefits city life. When the fall arrives each year, the ginkgo transitions from a lovely green to a beautifully rich and vivid yellow which compliments any city street or yard, but the fall color show is short-lived and the leaves drop quickly. If you are looking for a tolerant, beautiful, tall and shady tree for your lawn, a male ginkgo tree would be worth your consideration. The ornamental aesthetic value alone is enough to go to your local nursery or landscape designer and ask for it by name. 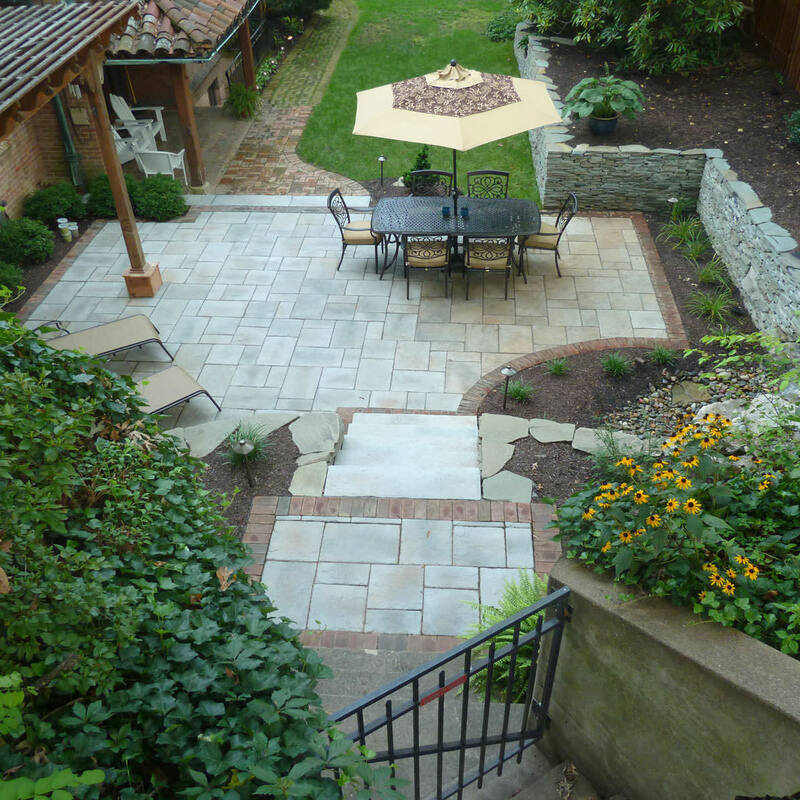 If you feel that you would like some help in re-imagining your backyard into a complete outdoor living space to relax or entertain, reach out to MasterPLAN Landscape Design. We believe that by providing an open and honest communication with our clients, we can create a gathering place that you can value and a trustworthy experience you can embrace.